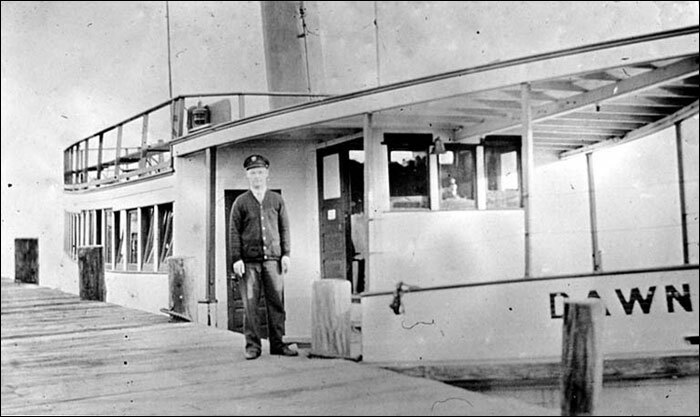 Captain John L. Anderson had owned and operated boats on Lake Washington since the late 1800’s. Purchased in 1907, Anderson also owned the Lake Washington Ship Yard in Houghton (present day Kirkland, WA). His vessels became the best known and most well used boats operating on the lake. 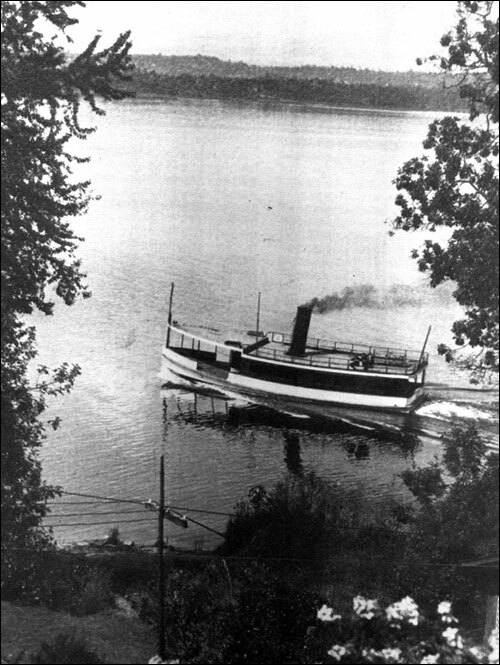 In 1914 one of Anderson’s passengers ferries, the Cyrene, which had served the people of Seattle and the Eastside for more than 20 years, was showing her age and was ready to be replaced. The year prior, Captain Anderson was traveling in Europe and saw boats that were different than what was currently running on Lake Washington. He was intrigued by their design and felt he could build a similar boat that was capable of increasing ferry traffic on the lake. So on his return that same year, Anderson built the Dawn to replace the Cyrene, and its design was based on memories of those boats he saw while traveling abroad. 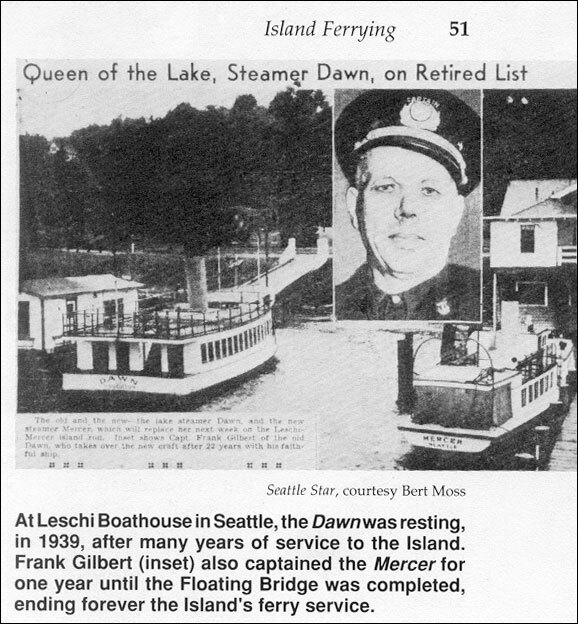 The Dawn’s purpose was to ferry passengers from Leschi Park to Mercer Island, including both commuters and students. The fair was 25cents round trip with a commuter 10 trip ticket priced at $1.00 - a 20 trip ticket for school children also sold for a $1.00. 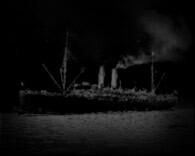 Despite her seaworthiness, on Christmas Eve 1924 under a reported 80 mile an hour gale, the Dawn broke her mooring lines and sunk. She was raised, repaired and put back to work for another 14 years before she was retired 1938. Two years later in July of 1940 the I-90 Bridge was complete. Able to carry thousands of drivers across the water and saving them close to an hour of commute time, the bridge put the ferries of Lake Washington out of a job. The Dawn lived her last days above water docked at Rainier Beach before she partially sunk again. Worried she posed a hazard to the community, in 1946 the Seattle City Council contracted to have her towed out to the middle of the lake and sunk. 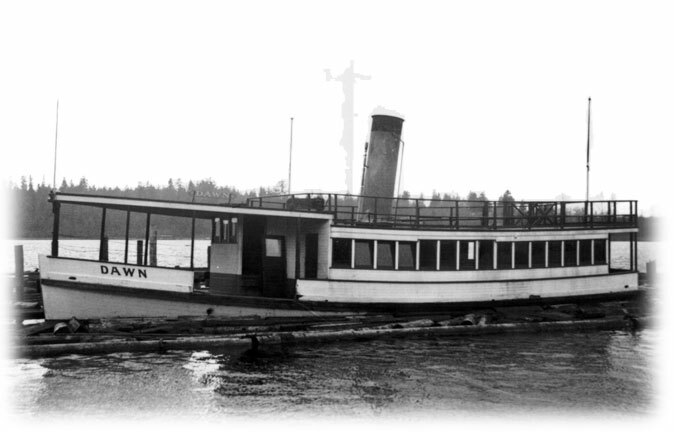 And so 33 years after she was built, the ferry boat Dawn was scuttled in the dark and cold waters of Lake Washington.